“Mistakes are part of life, everyone makes them, everyone regrets them. But, some learn from them and some end up making them again. It's up to you to decide if you'll use your mistakes to your advantage” - Meredith Sapp. This article tells the tale of Francis Overend who was accused of attacking a police officer with the intent to resist arrest or to cause grievous bodily harm. The officer, PC Healy caught Overend and a fellow accused, Warren Thomas as they attempted to break into a house. On confrontation Thomas ran away but Overend allegedly hit PC Healy over the head with a crowbar. Both were arrested and Overend admitted the attempted burglary but denied the attack on PC Healy. During the trial he testified to his innocence alleging that he was attempting to give himself up at the time of encountering PC Healy. In describing the sequence of events he unintentionally admitted to hitting PC Healy over the head. This slip of the tongue was caught on tape and although Overend denied making this admission, the tape recording was played to the members of the jury. Unsurprisingly, Overend was found guilty of the attack and is on remand pending sentencing. What can we learn from this? 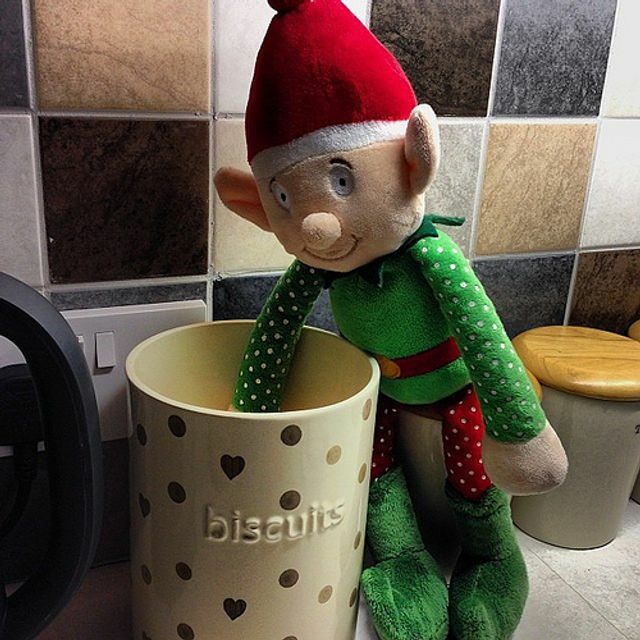 When you do get caught with your hands in the cookie jar, it’s probably best to admit it rather than pretend that you’re just rescuing a trapped biscuit!